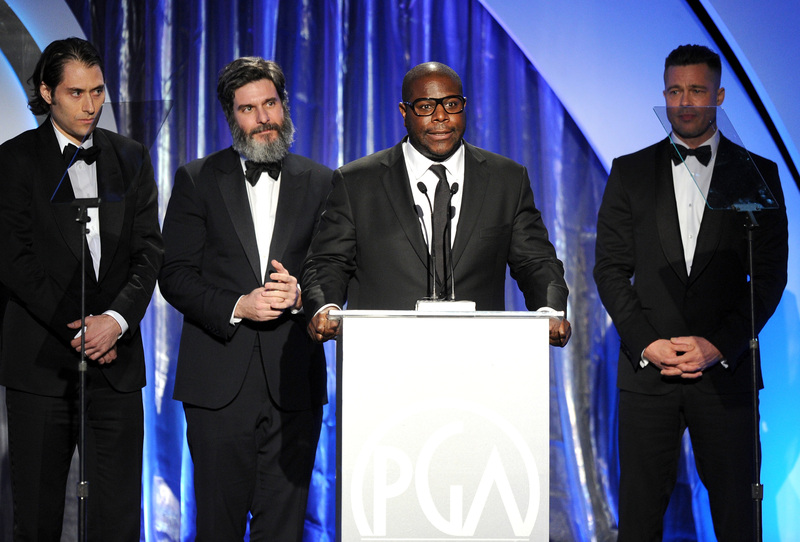 The National School Board Organization reports today that Steve McQueen's epic, 12 Years A Slave will be part of high school history curriculae across the nation as early as September of 2014. The nonprofit has partnered with Penguin Books, New Regency and McQueen himself (who is British, ironically) to make copies of the film and its source material, the novel by Solomon Northup, available to public school educators across America. Montel Williams was the man with the noble plan: he took the initiative to Fox Searchlight Pictures. It's a victory not only for McQueen and for the film, but for the state of public education in America. The major players for this year's Best Picture at the Academy Awards are, of course, McQueen's 12 Years, and David O. Russell's American Hustle. Artistically, both films are worthy of the win; but the historic implications of McQueen's film outweighs the sordid tale of scandals, bribes, the FBI and insane coifs of Russell's Hustle. McQueen's 12 Years is a thoroughly uncomfortable film to view, and one can only imagine the difficulty that the primarily black cast endured in order to commit themselves to exposing the ugliest part of American history. That's why it's so heartening that Montel Williams, McQueen, and partners will make the film and teaching materials available to high schools; often US public education turns away from teaching the stories of American history that are ugly. As Americans we must accept and take responsibility for all of our shortcomings. Further, American history in the public education system often ignores the history of people of color; late journalist Howard Zinn exposed the inequity of the teaching of history, noting that those whose narratives are being told have power, while others are silenced. As McQueen himself said, "It's not white history or black history or Hispanic history, it's American history." 12 Years a Slave is one of the most impactful films in recent memory, and I am honored to have been able to bring together Fox Searchlight and National School Boards Association to maximize its educational potential. When Hollywood is at its best, the power of the movies can be harnessed into a powerful educational tool. This film uniquely highlights a shameful period in American history, and in doing so will evoke in students a desire to not repeat the evils of the past while inspiring them to dream big of a better and brighter future, and I’m proud to be a part of that. Whether or not 12 Years a Slave wins an Oscars this Sunday, it will be immortalized forever, deservedly, for using the medium of historical film for its best potential: to shine a light on the evils of the past so that we may not repeat them again. Congratulations all around.